L’Oréal Paris Super Liner Perfect Slim – Intense Black Review Reviewed by Nikki Mishra on September 7, 2016 . 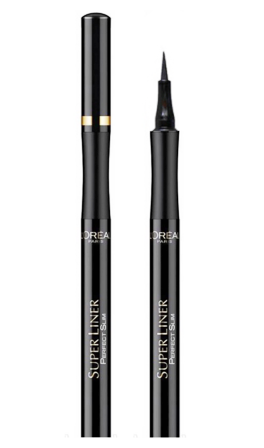 L’Oreal Paris Perfect Slim Super Liner – Intense Black is super pigmented eyeliner and the shade is dark and chic black. I get that color in the first swipe itself. The texture is very smooth and glides like a dream. It looks glossy initially but then settles down to a semi matte finish. Here I am again to share my experience with L’Oréal Paris another product. As you guys know me, I always put a lot of stress on eye makeup. I try different products occasionally so that I can highlight my eye perfectly. Perfect eye makeup is the key to look supremely beautiful and gorgeous. Whether you are going for a party or you are going outside to stroll around with friends, never bother to pamper your eyes with touches of some makeup products. 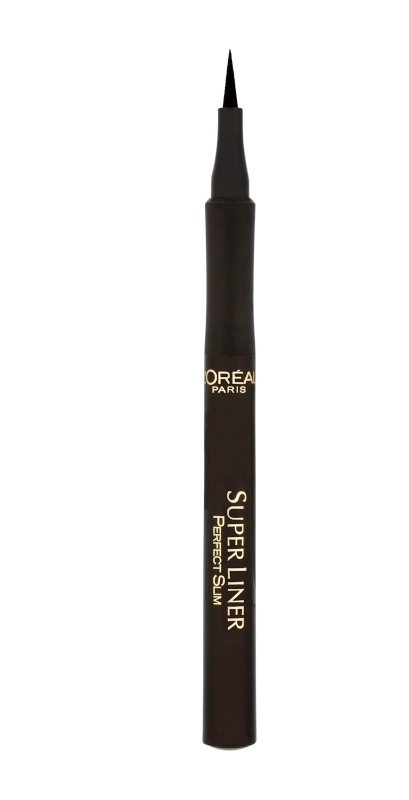 Today, I shall review L’Oreal Paris Perfect Slim Super Liner – Intense Black. The product is available in different colors too. I’m using some others shades as well, but I like the ‘Intense Black’ most, and thus sharing review on it first. The manufacturer says that with just a single stroke of L’Oréal Paris Super Liner Perfect Slim – Intense Black, you can nicely highlight your eyes. The brush comes with 0.4 MM tip, and it helps to apply the product accurately. It stays on the eyes for a long time, and does not get smudged easily. There is no need for second coat, unless you are too experimental with your eye makeup. Application of the product is similar to the other eye makeup products. Thin tip of the brush helps creating fragile but accurate lines that can make the eyes perfectly rejuvenating. The texture is not runny rather creamy. Once applied, let it to sit on the eyes. Once it sits down perfectly, it would remain for at least 6-8 hours. To remove the eye liner, you can use cleansing milk or water from any standard makeup brands. Use soft cloths or cottons to get the right solutions. Packaging: The packaging is brilliant. It is compact, classy and travel friendly. The tip is soft hence bends with the curves of the eyes. The tip is super thin (0.4 mm) which lets us achieve a thin as well as a thick eyeliner look. Shade, Texture and Pigmentation: It is super pigmented eyeliner and the shade is dark and chic black. I get that color in the first swipe itself. The texture is very smooth and glides like a dream. It looks glossy initially but then settles down to a semi matte finish. It takes like 30-40 seconds to dry completely and once dried, it does not smudge. Staying power: The eyeliner stays intact on my eyes till the time I remove it, but it might smudge a little after 7-8 hours. It is water resistant, but to some extent only. Do not use water to remove the makeup – use cleansing milk or other makeup remover. I absolutely love L’Oréal Paris Super Liner Perfect Slim – Intense Black! I surely recommend it as it is probably one of the best felt tip liners that I have used. I shall write reviews on the other shades too later.